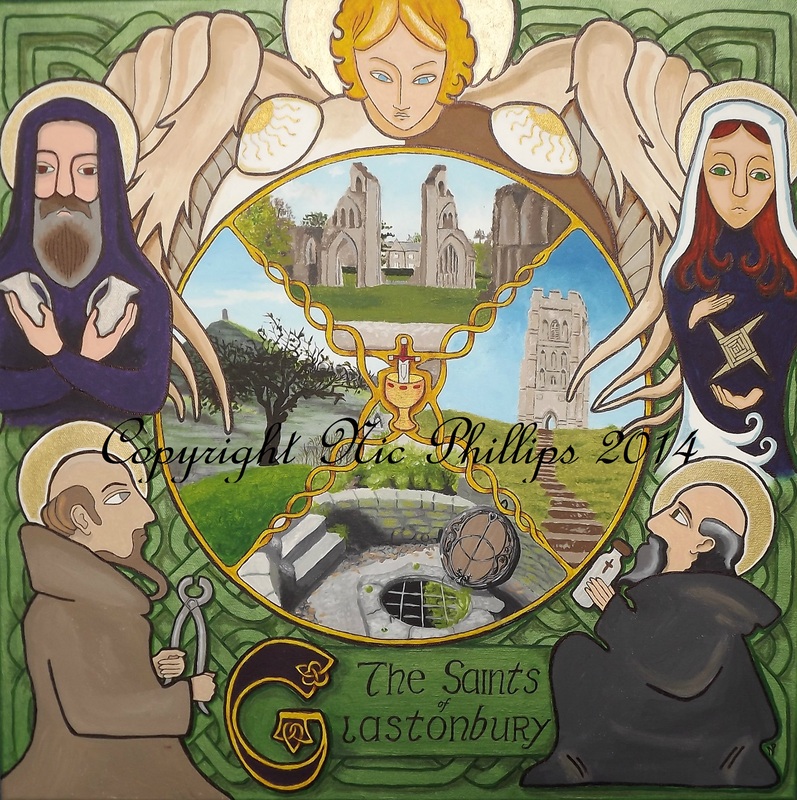 A Celtic inspired design featuring scenes from the Glastonbury landscape and its associated saints. 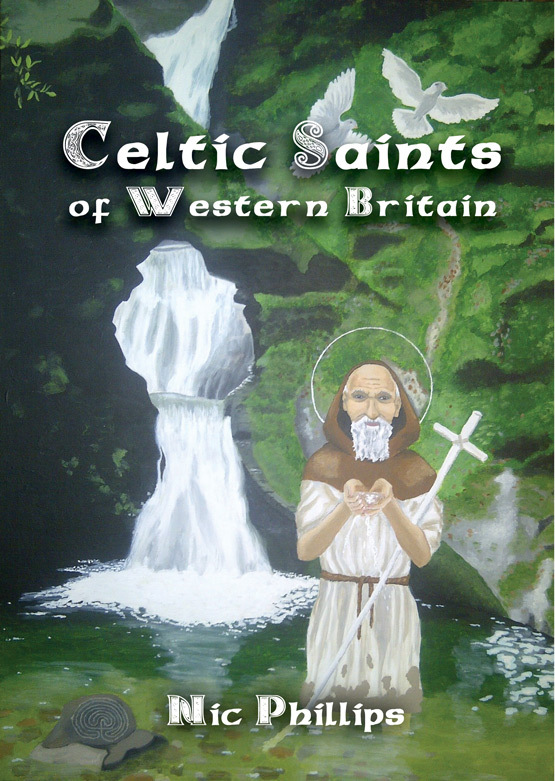 Clockwise from the top: St MICHAEL, patron of the church tower that stands atop Glastonbury Tor; ST BRIGID, the Irish saint who was said to have lived a while at Beckery and who can be seen in a carving on St Michael’s tower; ST COLLEN, at one time Abbot who went to live as a hermit at the foot of the Tor and had an encounter with Gwyn ap Nudd, lord of the Underworld there; ST DUNSTAN, one of the most famous Glastonbury Abbots who in legend grasped the Devil by the nose with his tongs; and ST JOSEPH OF ARIMATHEA, who brought the Holy Grail or some say two cruets of the blood and sweat of Christ and buried them at Glastonbury. Acrylic on Canvas (19.5in x 19.5in).